For many dog owners, their beloved furred companions are more than just a pet; they’re part of the family. Indeed, doting “fur parents” often care for these loving, cheerful, members of the household much as they would their own children. This includes buying them all sorts of accessories to make their “fur kids” as happy, safe, and comfortable as possible. There are some items that are purchased purely for their style value, but there are also must-haves for comfort, safety, and overall care for dogs. Here’s a list of accessories that both new and seasoned fur parents should consider buying for their canine companions. It might look a little old-fashioned, but a dog crate can be a lifesaver when it comes to potty training your dog. It can also be a temporary place to put your dog in and keep them out of harm’s way when you’re home alone and won’t be able to watch them otherwise—say, when you’re cooking dinner or taking a shower. 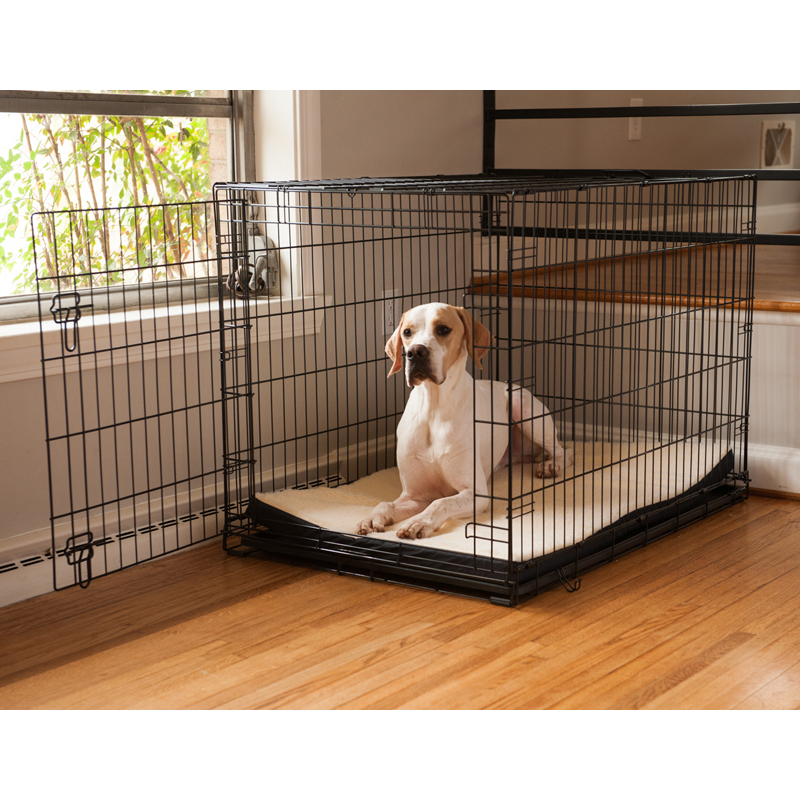 For those who have limited floor space, there are foldable dog crates that can be easily set-up and put away when needed. If you’re not too keen on the all-metal or wire design, you can also choose a kennel with plastic walls, which should make for a more comfortable hiding place for your buddy. Meanwhile, a dog bed can make the crate or kennel a cozier place for your pet to snuggle in, although you can definitely buy a separate, larger dog bed to place in your bedroom or wherever your dog sleeps. If you have the money to spare, you can get dog beds made of memory foam for maximum comfort. Apart from carrying your dog’s ID tags, collars are also useful training tools. Consider a martingale collar, especially if your dog is a little excitable in crowds or is still learning good leash manners. A martingale collar (or simply a martingale) is designed to prevent a dog from slipping or backing out of the collar, and tightens just enough for a snug fit only when there is tension on the attached leash. This feature helps prevent neck injuries and general discomfort that may be caused by other types of collars. The tightening of the collar is also helpful in “telling” your dog that they need to pay attention. Meanwhile, a leash is an important accessory when you have to take your dog outside, say for walks around the neighborhood or when taking them to the veterinarian. Standard dog leashes measure anywhere from 4 to 8 feet to allow for some slack, although some retractable models can be as long as 26 to 30 feet. If you can afford it, invest on leather leashes. They are not only more comfortable for you and your dog, but are also more hard-wearing. If you travel a lot with your dogs, a car safety harness is a worthwhile investment. Small dogs especially have the tendency to move around the car when they’re excited, or even hide underneath the seats when they’re scared or anxious. This is very dangerous especially when the car is in motion. A car safety harness ensures that your dog is as safe and secure as can be when travelling. Just make sure that you get the correct size to prevent pinching and other discomforts. Chewing is part of a dog’s natural instincts as they go out and about to explore the word. For young dogs, chewing is a way to relieve the pain of teething. Older dogs, meanwhile, chew to “practice” their jaws to keep them strong and maintain the cleanliness of their teeth. Most dogs also expends their pent up energy and relieve boredom or anxiety by chewing. Make sure to switch chews every few days to keep your dog interested. Dog toys, on the other hand, are meant for entertainment and mental stimulation. If you’re overwhelmed with the vast array of choices—and there are MANY to choose from—start with some tug of war toys, plushies with squeakers, and the classic ball or stick for playing fetch. The iFetch is a brainchild of Denny Hamill and his family, who conceptualized the device because their toy poodle Prancer kept begging his grandchild Grant to play fetch, even as he was trying to do his homework. Finally, Grant grew tired of the game (with little progress on his homework) and burst out loud, “What if we made something that could throw the ball for Prancer so I can finish my homework?” Denny Hamill thought it was a good idea for a fun family project and the rest, as they say, is history. The Kickstarter campaign launched on June 17, 2013, and today the iFetch has three models: the iFetch original, which has three distance settings (10, 20, and 30 feet); the iFetch Too, which has four distance settings (10, 25, and 40 feet, and random) and launches bigger balls; and the iFetch Frenzy, an interactive, gravity driven toy that allows playful, energetic dogs to play with or without their owners. Are you pulling another all-nighter in the office or perhaps stuck in traffic? Make your life and your dog’s life a bit easier with an automatic dog feeder, which allows you to feed your dog remotely via an app installed on your smartphone. This ingenious use of tech is also a lifesaver when you can’t find anyone to take care of your dog while you’re away for a short while. Now your dog won’t have to hungrily wait for you to come home again! There are a number of techniques you can employ to train your dog to follow commands, and clicker training is one of them. This method uses a clicking noise—and a follow-up treat—to indicate to your dog that what they did at the moment they heard the click was the right thing to do. Clicker training is relatively easy to do, and is just one of the many positive reinforcement strategies that you can use to teach your dog proper behaviors and tricks. However, it’s still important to consult with a professional dog trainer so that they can teach you how to properly train your dog. Depending on where you live, your dog will also appreciate either a cold weather or hot weather vest. 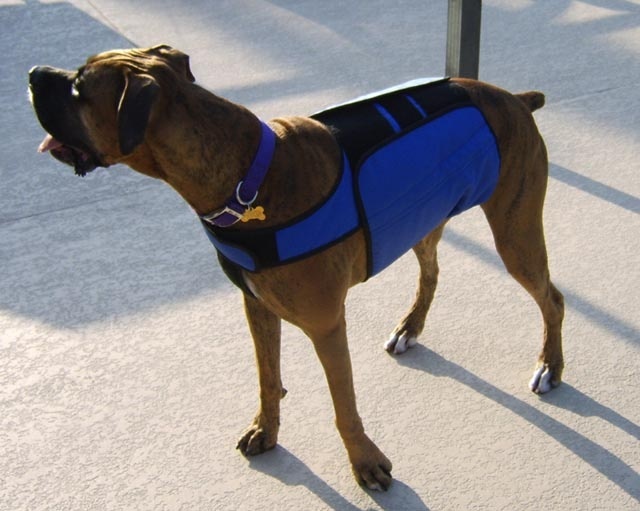 Dogs are especially vulnerable to hot weather, as they don’t have any sweat glands to help cool them off, so investing in a cooling vest is definitely a good idea. Meanwhile, there are some dogs that really aren’t built for extremely cold climates, and need all the help they can get to stay warm. There are also a lot of styles to choose from, so fashion-forward owners are sure to find something both comfortable and trendy for their beloved furred companions. It really doesn’t take much to make dogs happy, but it certainly won’t hurt to go the extra mile for them whenever we can, don’t you think? After all, dogs really are a man’s best friend—and family, too!